Scanturf / Scangreen - Updated Nordic variety lists and invitation to enter varieties to trials starting 2015! 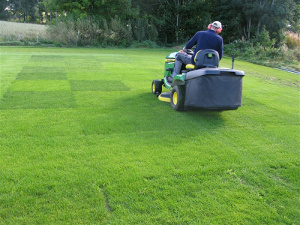 The Nordic variety lists for lawn and green in 2015 are now updated with the latest result, and available as an interactive database. Check out the variety guide. In addition to entering varieties, there will be a separate section in the new SCANGREEN trial for testing of seed mixtures (consisting of different species) and seed blend (different varieties within the same species). For more information about seed mixtures/blends contact trygve.aamlid@bioforsk.no. For entering varieties and/or seed mixtures/blends to the 2015 SCANTURF and SCANGREEN trials, please fill in this entrance form and send it to lars.havstad@bioforsk.no or trygve.aamlid@bioforsk.no.